On Valentine’s Day, the Los Angeles County Registrar-Recorder County Clerk (RR/CC) offered same-day weddings to any couple wanting to tie the knot. 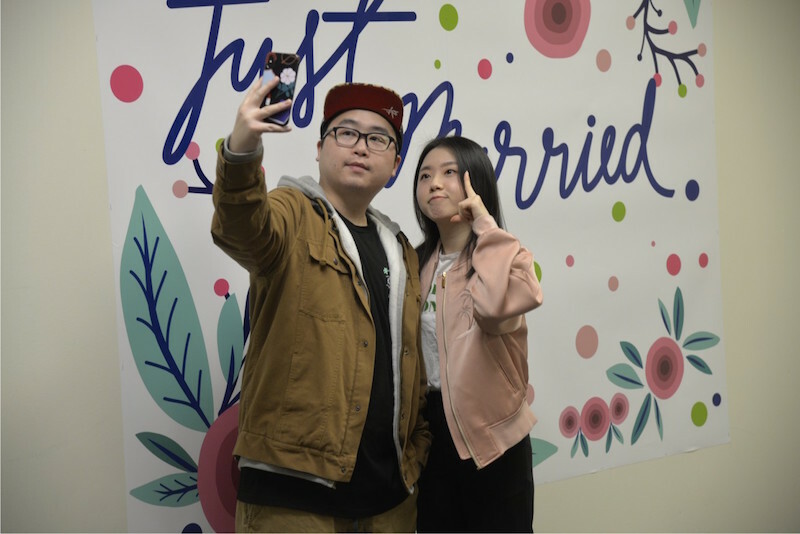 Couples were able to show up as early as 8 a.m. in Norwalk and 8:30 a.m. at six other area locations, including Lancaster, Beverly Hills, and four L.A. locations without a prior appointment. 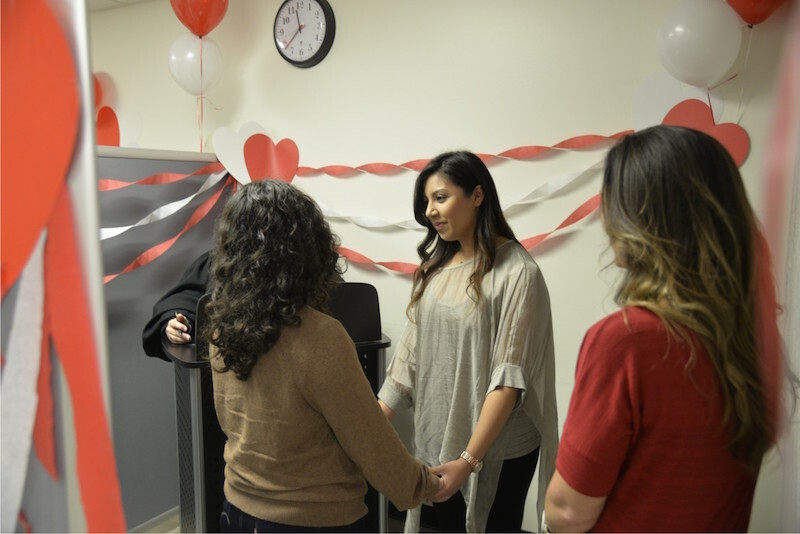 In 2017, the county saw more than 250 couples wed, with 84 of them expressing their vows at RR/CC’s Norwalk headquarters. Spokesperson Brenda Duran told City News Service that, by comparison, the Norwalk office typically averages 48 weddings per day. This year, RR/CC’s Mike Sanchez told We Like L.A. that 285 ceremonies were performed countywide, with 90 of them taking place in Norwalk. Ceremonies cost couples $35, while marriage licenses cost $85 for a confidential license or $91 for a public one. Some couples dressed up, while others wore more casual outfits for the affair.